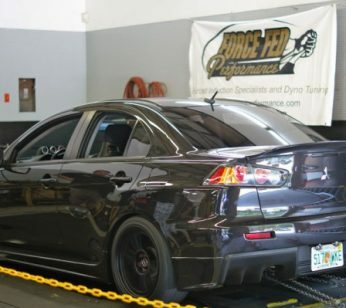 Here at Force-Fed Performance we know that dyno tuning is one of the most important services we can provide. 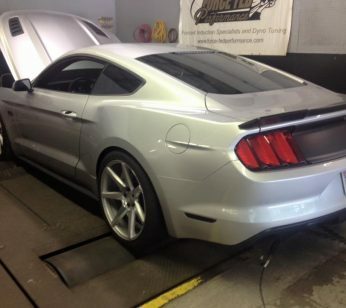 Accuracy and repeatability is also very important which is why we use a mustang dyno. We have a AWD dyno at our facility that can maximize your vehicles potential by increasing horespower, torque, and properly tuning your air fuel ratios and ignition timing. If you have a bone stock car or a full blown race car, you can benifit greatly from tuning on our dyno. Dyno time can be purchased by the hour or by the day! Our AWD Mustand Dyno can accomodate Front wheel drive and AWD vehicles and even motorcycles. Force-Fed Performance is your premier performance shop in the eastern U.S.. With years of experience in forced-induction platforms and custom dyno tuning. We specialize in everything from Mitsubishi, Toyota, Subaru, Nissan and many other platforms. Our staff is complete with certified technicians and factory trained tuners to ensure great results from a consumer stand point. Copyright © 2016 Force-Fed Performance. All rights reserved.